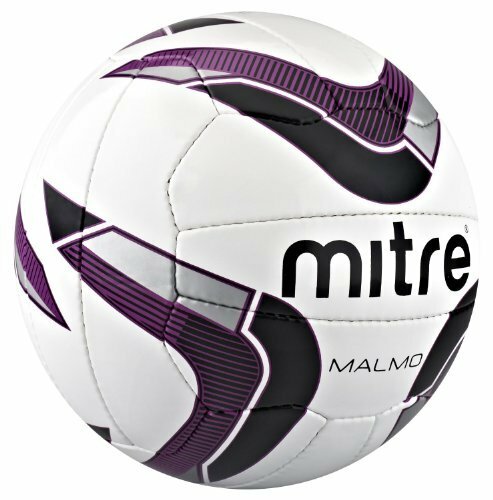 ** BAG OF 10 MITRE MALMO TRAINING BALLS WHITE/PURPLE SIZE 5 ** Product Description Exceptional value and all-round performance, the Mitre Malmo 18 Panel Training Football was born to play on the training ground. Reliability is key to any training ball, with the Malmo utilising its high density PVC outer and extra strong backing to great effect. The high air retention bladder ensures reduced maintenance making it the ideal choice for all abilities at school and club level. A striking purple and black design wraps around the ball and complements the traditional white look for a football that suits all your training needs. If you have any questions about this product by mitre, contact us by completing and submitting the form below. If you are looking for a specif part number, please include it with your message.